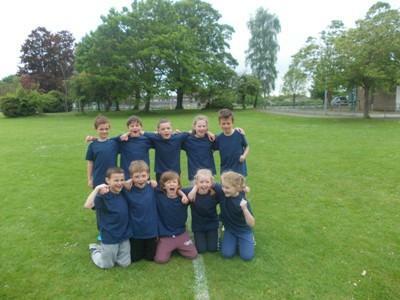 Well done Ashbeach Cricket team! It was another great day of cricket for the year 4 team today. They made it through to the final of the school cluster tournament two weeks ago and put on a stirling show winning every game in their group in this morning’s competition. As well as winning their group, they scored better than the winners of the 2nd group to win the tournament overall. This has secured their place in the Huntingdonshire finals. Well done to all children who entered the initial competition and to today’s team for progressing to the next round. All children who attended the finals today either as spectators or players represented their school superbly and were a credit to the school. Well done guys!